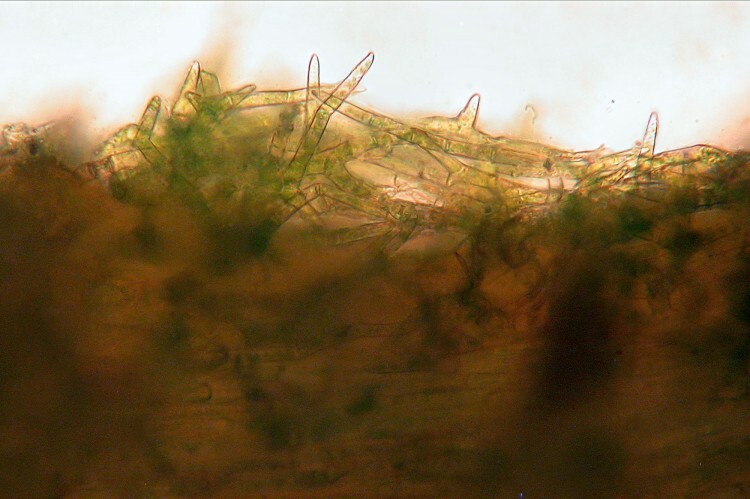 Climacium americanum on residentrial lawn in North Royalton, Cuyahoga County, Ohio. April 6, 2008. Climacium americanum with sporophytes. Knox County, Ohio. March 25, 2012. Climacium americanum in swamp in Tucker County, West Virginia. June 3, 2014. 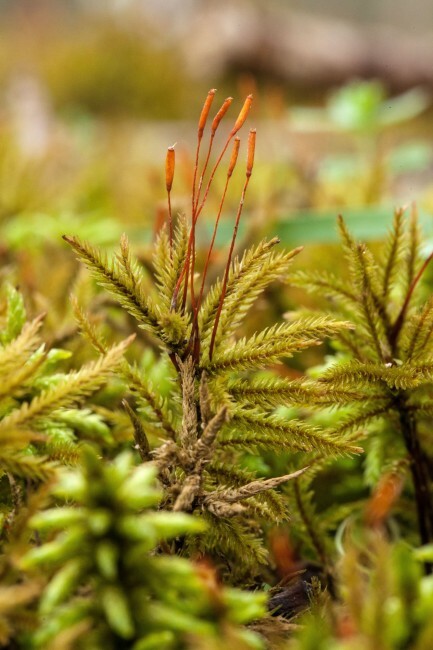 How to recognize lobe-leaved tree moss: Climacium americanum has a unique tree-like growth form from a below-ground stem. 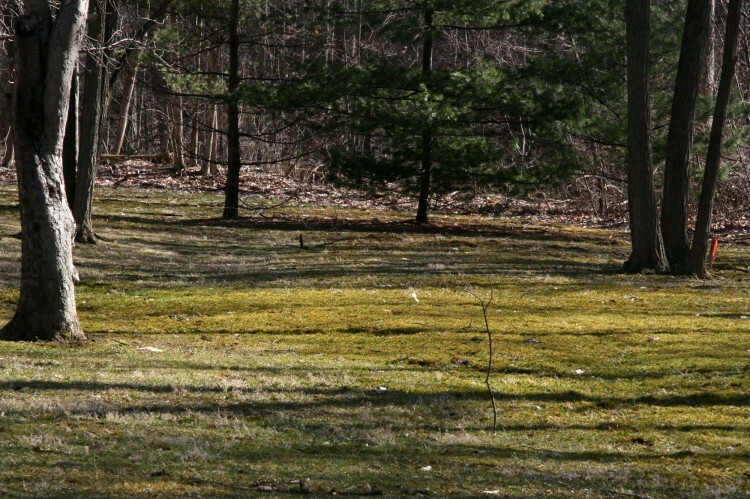 The clumps of tree moss found in the woods are really all one plant arising from the below-ground stem or stolon. 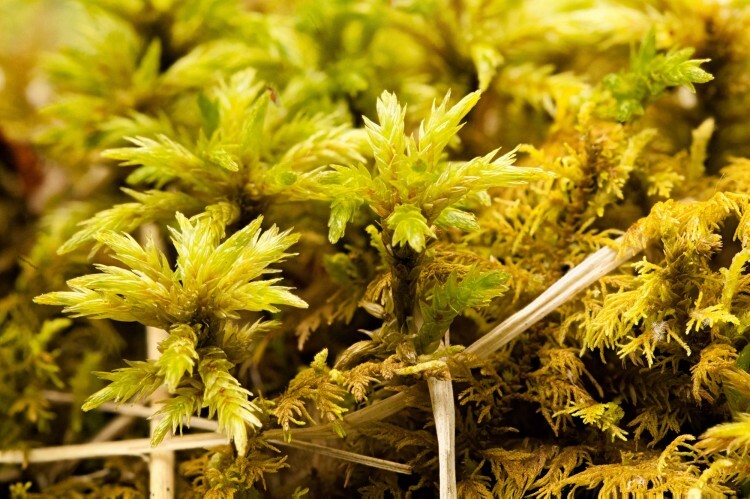 No other moss in the eastern United States that looks like a miniature tree with trunk and branches all extending away from the trunk can be anything other than a Climacium. 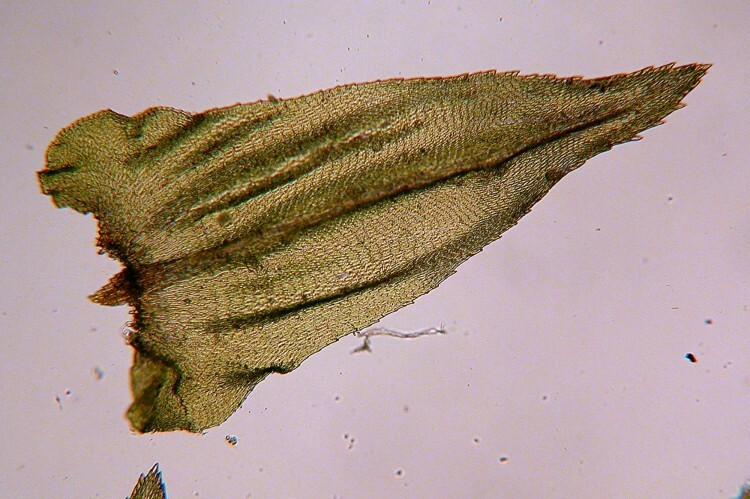 Under the microscope the abundant filiform paraphyllia are distinctive as well. By looking at an individual leaf, the lobes at the corners of the base of the leaf can be seen. 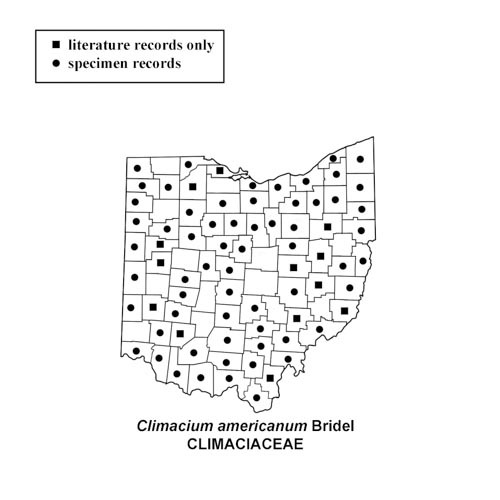 Another species, Climacium dendroides is also found in the east but not in Ohio. 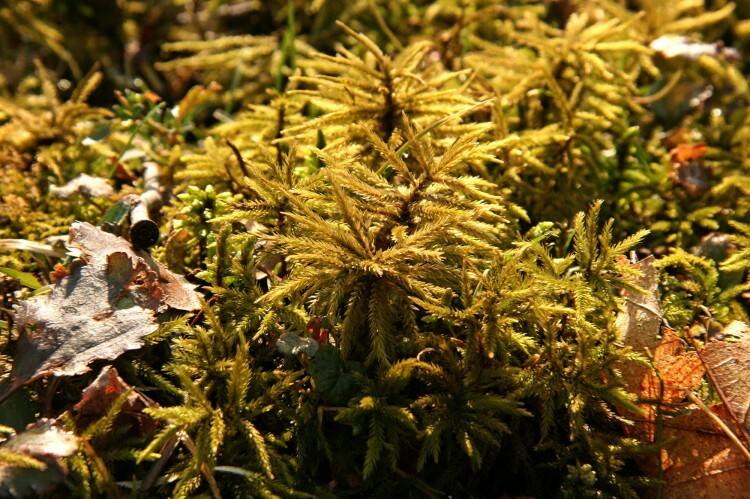 Where to find lobe-leaved tree moss: Climacium americanum occurs in wet shady places in woodlands and lawns.